Dynex VHS Video Rewinder 120V Power DX-VR101. Material: Plastic. Material: Metal. Material: Electronics. Exact item size plus or minus 1/4 inch - 11in length x 5.5in width x 2.5in height. Color: Gray/Black. Country of Manufacture: China. Save your VCR. 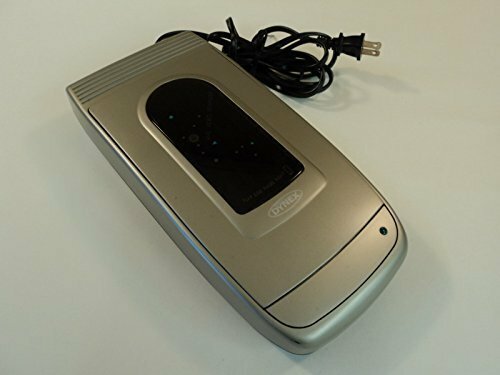 Dynex VHS Video Rewinder 120V Power DX-VR101. Material: Plastic. Material: Metal. Material: Electronics. Exact item size plus or minus 1/4 inch - 11in length x 5.5in width x 2.5in height. Color: Gray/Black. Country of Manufacture: China. If you have any questions about this product by Dynex, contact us by completing and submitting the form below. If you are looking for a specif part number, please include it with your message.